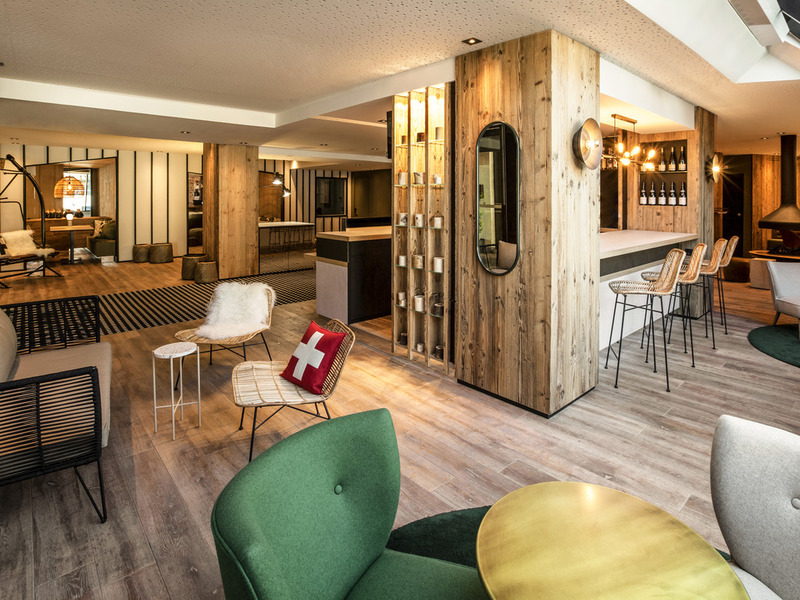 In the city center facing the train station, the 4-star Mercure Chambéry Centre hotel welcomes you for a relaxing family stay or a business trip. Ideally located in close proximity to the historic center, all of the city's convention centers and just a few minutes from the largest natural lakes in France. You will appreciate its modern design, warmly colored rooms and intimate bar atmosphere. In the centre of Chambéry and 10 minutes from the Conference Centre, Mercure Chambéry Centre is ideal for your business meetings. Explore the historic town and make this hotel your starting point to the winter sports and summer resorts. Beautiful, newly renovated rooms with a secure underground car park, free WIFI and a warm and intimate bar. The Mercure Chambéry Centre team warmly welcomes you to Savoie. Our spacious rooms are fully soundproofed and air-conditioned. You can choose between a double or twin room, smoking or non-smoking. Mountain views subject to availability. Located right in the heart of the hotel, our cozy bar is perfect for relaxing with a cocktail in the evening in friendly surroundings. The hotel is very central and convenient to the train station. The rooms need updating however the reception and bar area very nice. Beds were comfortable and rooms were clean. Due to roadworks difficult to reach. The car park not so clean. The bedding needs some attention. Rooms are not large. Reception is okay. Staff is very friendly and multi-lingual. Location is good. In my opinion not near the 4 stars they are claiming. Sir, Thank you for sharing with us your opinion following your stay at the Mercure Chambéry center. Your opinion is important because it allows us to improve the quality of our services and benefits. We have taken into account your remark about the parking lot. Regarding access to the hotel, the work of the station makes it a little more difficult but a sign is in place to guide you. Once the work is completed, the neighborhood will be very pleasant. We welcome your compliments on the welcome and I would not fail to share it with our teams. We hope you will enjoy your next stay in Chambéry to regain your confidence. Best regards, Cathy. Monsieur V., Nous vous remercions d’avoir pris le temps de nous écrire à la suite de votre séjour à Hôtel Mercure Chambéry. Afin de comprendre vos impressions suite à votre séjour dans notre établissement, pourriez-vous nous faire parvenir les points qui vous ont déçus? Cela est important pour nous afin d'améliorer la qualité de nos services et prestations. Cordialement, Cathy. It would have been useful to know the location of the car park beforehand. Check in only had one person so took a long time. Because only one person on reception we could not get a beer despite trying twice and reception was busy checking people in. Mrs F., Thank you for taking the time to write down your stay at the Mercure Chambéry Center. We are sorry to read that the benefits were not up to your expectations. We have taken note of your remarks and we assure you that we will do what is necessary for your next visit. Hoping to see you again soon to regain your trust. Best regards, Cathy. I stayed from 02/03 to 09/03, just 164 Leclub points were credited in my account, please credit the remaining points of my stay. Thank you. Good evening Sir P., I took note of your request about loyalty card. I contact the support because i can't put manually your points. Have a nica day. Best regards, Cathy. Dear Laurent D., We very much appreciate your comments regarding your stay at the Hôtel Mercure Chambéry Centre. It is always a pleasure to receive positive feedback. I will share your comments with our team. I am sure that this feedback will serve as an encouragement to all of our staff as we strive to continuously improve the quality of our services. Thank you again for sharing your experience, and we hope your next visit will be as pleasant as the previous one. Sincerely, Sara. Dear James R., We very much appreciate your comments regarding your stay at the Hôtel Mercure Chambéry Centre. It is always a pleasure to receive positive feedback. I will share your comments with our team. I am sure that this feedback will serve as an encouragement to all of our staff as we strive to continuously improve the quality of our services. Thank you again for sharing your experience, and we hope your next visit will be as pleasant as the previous one. Sincerely, Sara. Chère Madame, Merci d'avoir pris le temps de partager votre avis suite à votre séjour dans notre établissement. Nous sommes ravis de lire que vous avez apprécié l'accueil qui vous a été fait par nos équipes. Concernant l'offre senior, sachez que le petit-déjeuner est offert aux personnes de plus de 60 ans. Nous serons ravis de vous faire bénéficier de cette offre lors de votre prochaine visite à Chambéry. Cordialement, Cathy. Had a lovely stay, lovely helpful staff, great location near train station and walking distance to town centre. Room nice and clean, quite spacious, would stay again. Madam, Thank you for taking the time to share your opinion. We are delighted to read that you enjoyed your stay, we will not fail to share it with our teams. We will be delighted to welcome you again. Best regards, Cathy. Great welcome from staff on reception. Helpful and informative. Hotel provide great value for money and right in the heart of town and close to Gare SNCF. Chambery a very attractive large town. Mr S., We thank you for taking the time to share your opinion following your stay at the Mercure Chambéry Center. We are delighted to read that you enjoyed your stay and hope you took advantage of the location of the hotel to visit the charming city of Chambery. We hope to see you again soon and we wish you a happy new year 2019. Best regards, Cathy. Very comfortable room. good breakfast. I like the hotel very much, the room is spacious and the staff were very nice. However I would suggest the hotel entrance could be opened by room key after 00:00 instead of having the front desk associate opening for us, which would be more convenient. Very Nice staff, exelent cleaning of room, but dirty around hotel and entrance. Standard of room as expected of a Mercure hotel. Good nights sleep. Very helpful reception staff who were able to recommend good restaurants. Very convenient for station and historic town centre. Very pleasant stay. Not the best of location and as usual car park spaces were barely adequate. Disappointed restaurant was closed but staff helpful in finding an alternative. Room very good and good breakfast. Overall very satisfied.